Prostokvashino (Rus. 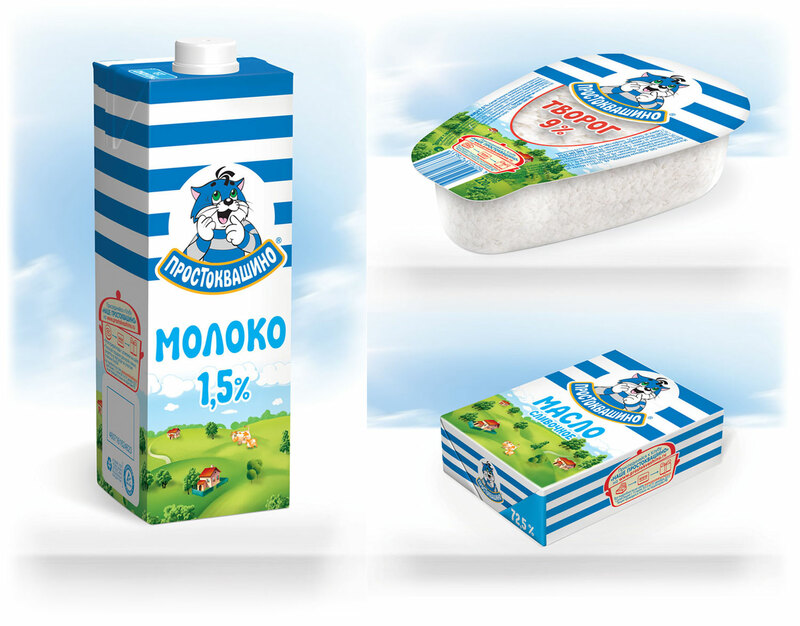 : «Простоквашино») is No 1 brand on Russian dairy market, and a key brand in Danone`s portfolio, with an average of 27 000 000 milk bottles sold every month. 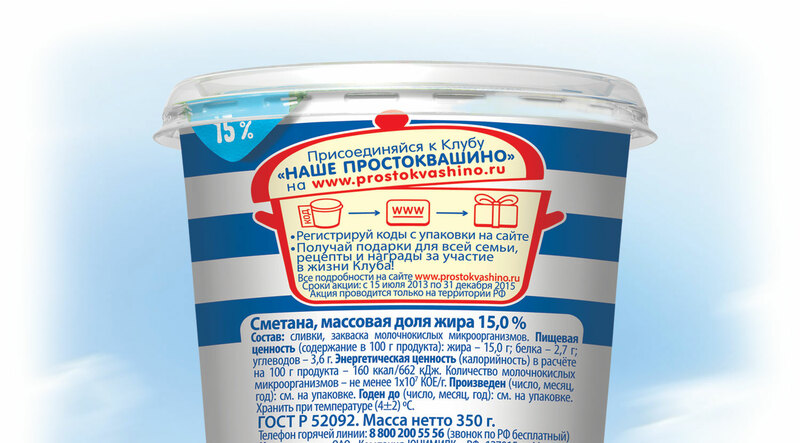 95% of people in Russia have tasted Prostokvashino products at least one time. The visual language of Prostokvashino is based on the same-name cartoon (released in 1978). 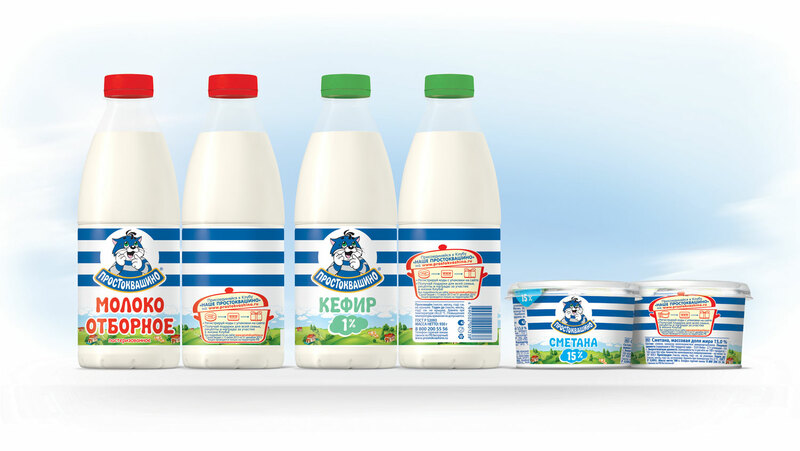 The brand has a wide assortment, focusing on traditional dairy products. Our team was asked to develop a complex re-design for all types of the packaging in the aim of increasing brand visibility. We created an updated hierarchy of all the design elements, including brand and informational areas. The special task was to create a visual concept for “Nashe Prostokvashino” Club — a widescale loyalty program for customers — and to integrate these new design elements into the packaging.